It is being reported that the leader of the procession refused to obey police and proceed through a green light. This caused a traffic jam. 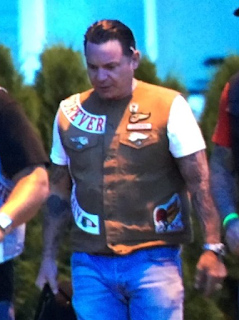 The biker was issued a ticket for the offense. 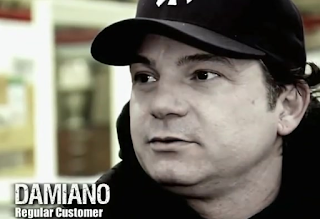 Traditionally, the leader of the pack would be the president of the local chapter and that is Damiano Dipopolo. One hopes he pays his ticket promptly. 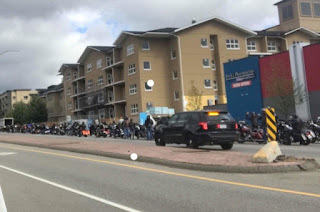 Dozens of Hells Angels and associates were pulled over by police on Kelowna's Glenmore Road Saturday, not long after the riders left the Kelowna Hells Angel's clubhouse on their annual Poker Run. Cops were apparently confused over the route. 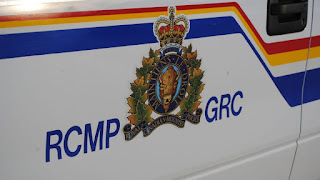 "An RCMP traffic unit initiated a traffic stop with the lead bikers to address the situation." 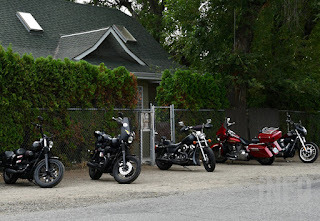 The gang's Kelowna clubhouse, while still in use, is the subject of an ongoing BC Civil Forfeiture trial. It has dragged on for a decade and is scheduled to resume in December. There have been several police raids on the property over the past few years.